An overheated ‘big end’ followed by disruption to rail services caused by heavy snow in East Anglia prevented No. 70013 Oliver Cromwell from fulfilling all of its planned ‘farewell’ tours, as scheduled in March. 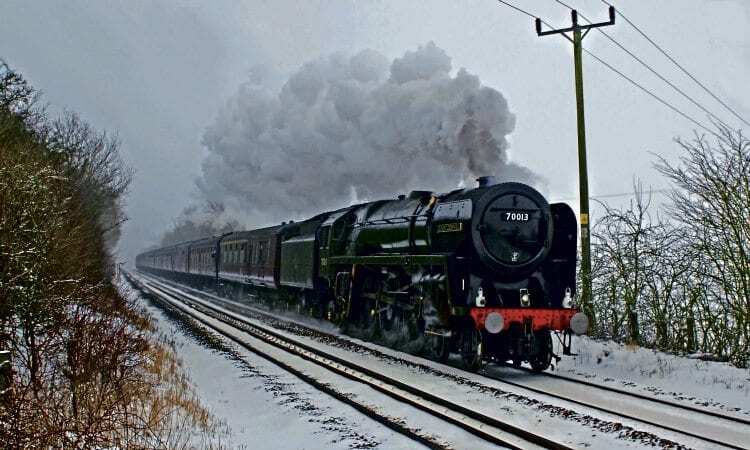 Despite an unplanned inspection stop just short of its destination, the ‘Brit’ was able to make it to Norwich with February 22’s ‘Cathedrals Express’, running the final leg at a maximum of 20mph as a precaution after the overheated component was found. Repairs were undertaken quickly at Norwich by the locomotive’s support crew, ready for a light engine positioning move to Southall.